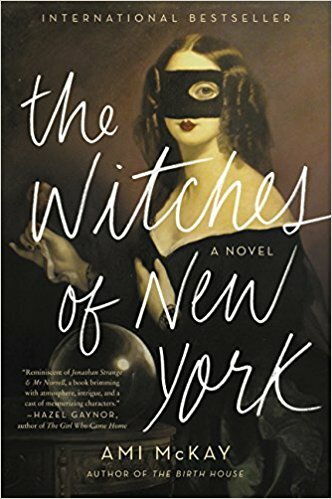 I'm on a witch reading kick lately and a friend recommended The Witches of New York by Ami McKay. Compared to my last witch read, The Hollow Girl, this one was much more light ~ not as horror focused ~ and ends on a very positive high note. The book has a nice combination of things I'm interested in: the turn of the century, feminism, tea, witchcraft, fantasy, and running a small business. The story focuses on three women that run a tea / herbal remedy shop in New York City at the turn of the century. One of them is very young and just starting out on her own in the big city. You really get a sense of all the things they encounter along the way including resistance from the local church group, support from other like minded women, business owners, and men, and the challenges of being a reserved woman during that time period. It's intermingled with magic, turn of the century spiritualism, romance, and drama. My only complaint was that one of the characters didn't get his due. It's not nearly close to being a revenge book, like The Hollow Girl is, but the ending is satisfying nonetheless. It also helps that the author, Ami McKay, is related to Mary Parker, one of the "witches" that was hung at Gallow's Hill in Salem during the witch craze. Do you have any witch book recommendations?